The automatic hand-free soap dispenser is an ultra-sanitary soap dispenser that has a built-in motion detector, when it sense your hands under the spout to dispense, it will provide you the perfect amount of liquid soap automatically to get your hands squeaky clean. You wash your hands to get rid of germs and bacteria, so why risk touching a soap dispenser that sits out all day being touched by dirty hands? * Drip-Free – keep counters clean, sensor lockout prevents accidental dispensing. Smart Sensor Technology, No Touch = No Germs! KINVERY Import & Export Co., Ltd is one of the leading import & export company located in Zhuhai City, China founded in 2009, which have been approved by Zhuhai Foreign Trade And Economic Council. The company plays a role of self-manufacturer and sourcing agent, dealing with import and export business, serving customers from all over the world. 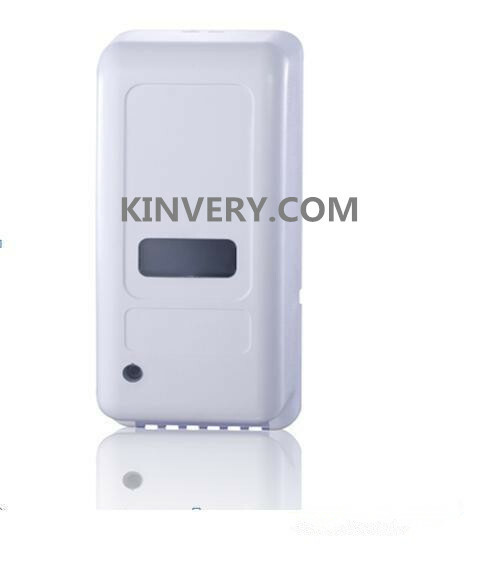 KIMVERY Import & Export Co., Ltd is mainly engaged in electronic products, especially focus on home appliances and automatic sanitary products, the automatic sensor series products are welcome and appreciated worldwide, devoting to help people with a higher level of lifestyle and ease for life. Products are ISO9001:2000 certified and with CE, ROHS, UL certificate. With strong R&D, professional designers and technicians, vast productive forces, KINVERY is your best choice to source in China. As a manufacturer, we persist on putting investment and effort on product quality and innovation, we believe only quality and innovative products can lead the market. As an exporter, we insist on offering our customers professionalism and integrity. Our main goal is to serve our customers in a professional way and fill our customers’ need with satisfaction. Now we have been cooperating with many customers from Italy, Spain, UK, Germany, Canada, USA, Australia, Asia, etc. We sincerely hope to set up long-term business relationships with customers from all over the world and would like to create a bright future with you jointly!